No one ever thinks that they’ll be an accident victim, and hopefully you or your family members will never find yourself in that position. If you are involved in an accident, it’s good to know in advance how to protect your rights to the fullest extent possible. We turn our attention this month to steps that you can take immediately following a fall-down accident. With well over 100 years of combined experience representing accident victims, the White Plains personal injury attorneys at Worby Vecchio Edelman have heard time and again from clients that they simply have no recollection of what caused them to fall. 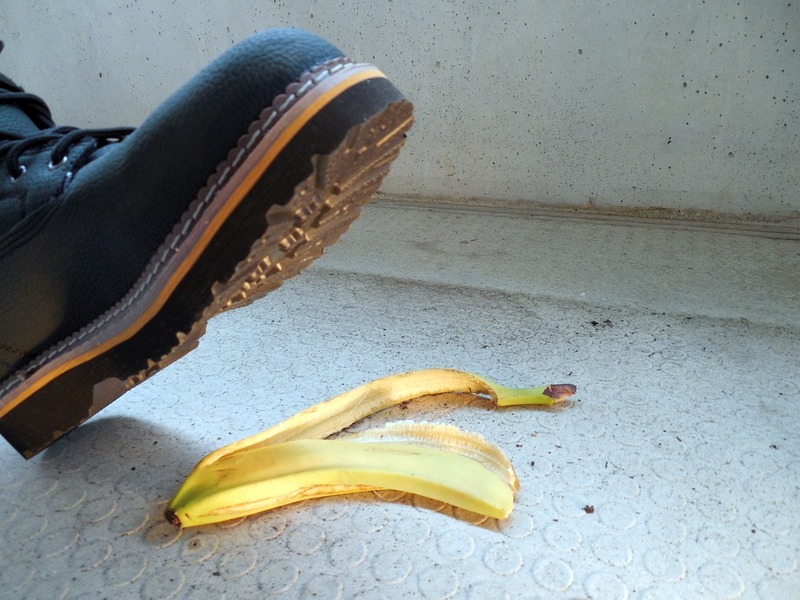 In most cases, though, someone who falls down knows a lot more about the cause of their accident than they may think. Our ability to successfully represent you in a fall down case may well be determined by your knowledge of what caused you to fall. Try to take a moment at the scene of the accident to make sure you understand why you fell, how you fell, and what caused you to fall. If you’re with someone you can trust, ask them to help you. Make a note of what shoes you are wearing. Most people today carry smart phones which have a camera function. Use your phone to photograph the floor or ground where you fell. You wouldn’t have consulted us in the first place if you didn’t believe that someone else was at fault for the fall, so document the facts behind the fault. Take pictures of the defect, and the surrounding area. Identify what it was that caused you to fall, whether that be liquid on a supermarket floor, or a crack or a hole in a parking lot. This is especially important in cases involving a transient condition, because that condition will be cleaned up well before you retain an attorney. See if there are signs or cones in the area to warn of the dangerous condition. If a witness comments that they saw the floor in the same condition for a period of time prior to your accident, get the name and contact information for that witness. You may not be able to take notes, but you can use your phone to take a voice memo from that witness, or you can type the witness’ name and phone number in to your phone. It’s also important in store fall down cases to document that you had the accident. Make sure that you report the accident to the store manager, and insist that the manager prepare an accident report. Take a picture of the store manager, or at least get the manager’s name. Identify the parts of your body that hurt, even if it’s just a general soreness at the time; once the adrenaline wears off, that soreness might turn in to a severe pain. Consider yourself lucky if you fall and don’t suffer an injury, but if you are injured, it’s important to get prompt medical treatment. Tell the medical provider about each separate part of your body where you are experiencing soreness or pain, so that it can be documented on the medical records. The care that you receive in a hospital emergency room will be to simply rule out fractures, or an immediate life-threatening condition. If you’re still experiencing pain in a few days, get further treatment; you can consult either your own private physician for a recommendation, or find a doctor yourself. Either way, the important thing is to receive that treatment if you think you need it. The laws involving fall down accidents are surprisingly complex, and insurance and defense attorneys are well versed on how to best defend their clients. You can increase your chances of success by gathering as much information as you possibly can at the scene of the accident, so that you’ll be able to provide the detailed information that will be asked of you in a later legal proceeding. The White Plains injury attorneys at Worby Vecchio Edelman have vast experience representing victims of fall down accidents. Call Worby Vecchio Edelman if you or a loved one have been injured. We offer a free consultation, at which time we can answer your questions, and explain your rights. We’ll let you know if we think you have a valid case, or if you don’t have a valid case. We work completely on contingency, so there’s never a legal fee unless we recover money on your case.